As part of your template, you'll receive telecommunication-specific information and a set of inspection forms. 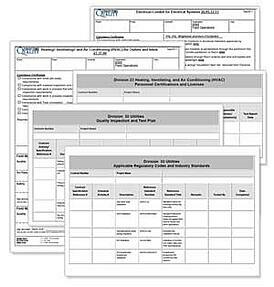 Inspection Forms w/check lists for concrete, electrical, metals, and earthworks. Telecommunications-specific information and inspection forms are included with your submittal-ready Quality Plan Templates at no additional charge.